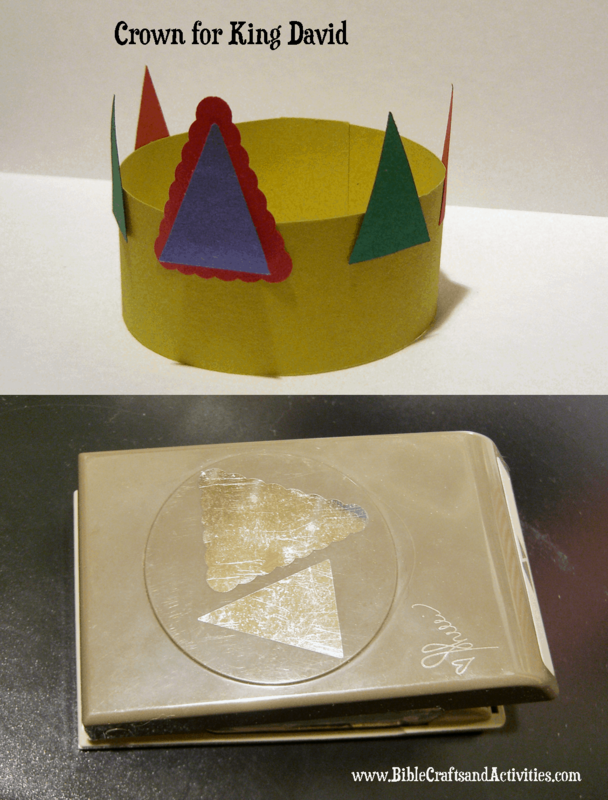 We completed our lesson series about David with the stories of David and Jonathan’s friendship and David becoming king. As a paper crafter, I love using paper punches for my projects. All the punches shown in this post are from Stampin’ Up! I have used the Word Window punch for so many projects through the years. To get your own, please visit my online store. I’ve included a page of the verses and names for you to download. The quiver is made from a rectangle of brown construction paper with a brown pipe cleaner loop on the back. 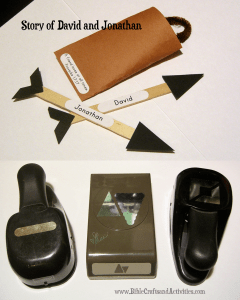 The arrows were made from craft sticks and paper punch art using Stampin’ Up! punches. 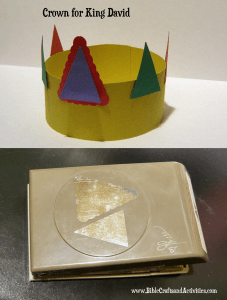 This simple paper crown craft uses the Petite Pennants Builder punch from Stampin’ Up!